Additional discounts will not apply to this item. 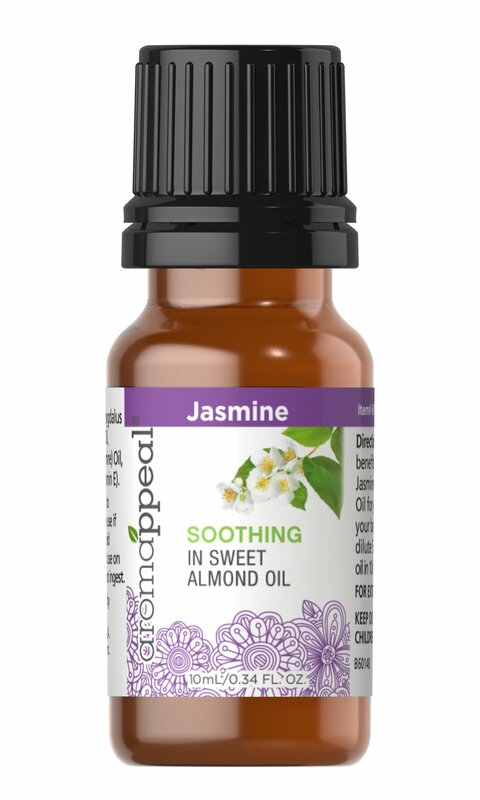 Escape Naturally with aromappeal Essential Oils. Naturally sourced essential oils—with their distinct scents—have the ability to connect with your mind, body and soul. Our essential oils are derived from the parts of the plants with the most desired aroma compounds. Single-ingredient essential oils are 100% derived from a single type of plant. Blended oils contain several oils that complement each other to create a harmonious mixture. Blends Well With: Rose, Clary Sage, all citrus oils including Bergamot and Orange. Caution: For external use only. Do not use directly on skin, dilute in a carrier oil. Do not apply to broken skin or irritated skin. If skin sensitivity occurs, discontinue use. If you are pregnant, nursing or taking any medications, consult your doctor before use. Discontinue use and consult your doctor is any adverse reactions occur. Keep out of the reach of children. Keep oils away from eyes. Flammable. Blend oils together and add to your electric diffuser. Some recipes may require the additional use of a carrier oil in order to dilute the potent effects of the active oils, or may require a larger amount of carrier oil than suggested depending on the individual. Feel free to adjust the recipes to suit your personal preference. Blend oils together and use in your electric diffuser or add to a cotton ball and inhale.